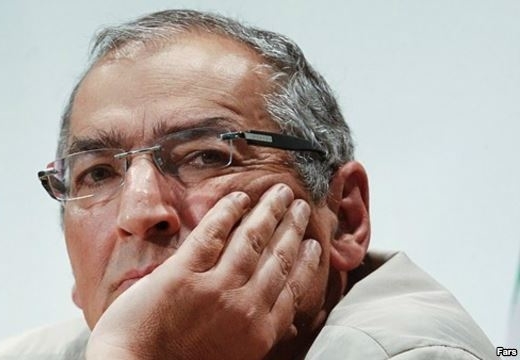 Zibakalam said the recent remarks by Ayatollah Jannati about the demise of King Abdullah are in contradiction with the principle of Shiite-Sunni unity. Your recent expression of delight over the demise of King Abdullah at Friday prayers was both astonishing and pitiful. It was astonishing because a country’s leader had passed away; our president had officially extended condolences; and our foreign minister had traveled there to attend his memorial service, but as a religious leader you described the passing as auspicious. If you did not hold public office, it would be possible to regard your comment as expression of personal views. However, the Friday prayer platform is an unofficial state platform. Besides, you have a seat on the Assembly of Experts and are a member of its presiding board. Above all, you serve as the secretary and head of the Guardian Council, so one cannot view your comments at Friday prayer sermons as expression of personal views. I feel sorry because we are living in an era during which the extent of disputes and disagreements between Sunnis and Shiites has gone beyond ordinary competitiveness. In fact, over the past two years armed clashes have become part of the equation too. Building on conspiracy theories, we have successfully put down this problem to mystery elements who seek to drive a wedge between Shiites and Sunnis. We have never asked ourselves: Aside from mystery entities who seek to fan divisions, to what extent have we tried to avoid being dragged into the trap of discord? From our own perspective, we go to great lengths to march toward unity. Hundreds of millions of dollars is annually spent on unity conferences and other measures whose outcome is nothing. They are a waste of money. In the world of reality, we fail to realize that through some of our missteps, in practice, we help those who trigger discord. Although we chant unity slogans with our Sunni brethren, our words and deeds have not served the cause of unity. Such failure is manifested in the way we treat our Sunni compatriots, in our stance on the faithful followers of the Prophet Muhammad, in the TV series we make, in unequal distribution of state positions to Sunni Muslims, and in disparaging remarks we make about the demise of King Abdullah who was officially the custodian of the Two Holy Mosques. At least a fraction of Saudis and people in other Arab countries believe he deserves respect. A quick look at the list of representatives sent by Islamic nations to attend his funeral shows that they all sent their highest-ranking officials. No doubt, King Abdullah was not John Stuart Mill [a British philosopher] nor Nelson Mandela. Nonetheless, in the circle of Saudi leaders and princes, he was moderate and a reformist. Just compare him with some of other Saudi clerics or leaders like Turki bin Faisal or Bandar bin Sultan. Ayatollah Jannati, a true step toward uniting Shiites and Sunnis and easing regional tensions would have been a visit by Akbar Hashemi Rafsanjani to Saudi Arabia, accompanied by the president and a senior delegation. Which one would tilt the balance in favor of those opposed to Shiites and Iran in the Saudi oligarchy: such a visit or your congratulations on the passing of king Abdullah? Which one would have been more in line with our national interests?